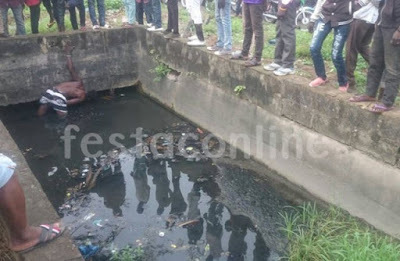 In order to evade jungle justice by an angry mob, a thief had to jump into a canal earlier today in Festac Town, Lagos. 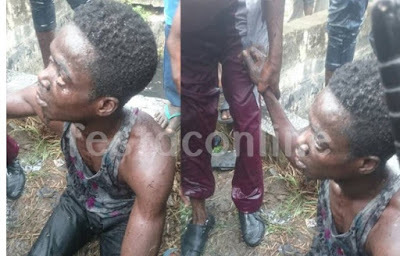 The young man and one other were caught stealing motor parts from cars at 1st avenue, Festac Town. 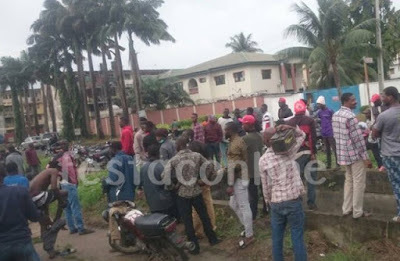 According to Festac Online, one of the suspects escaped while the other suspect jumped into a canal and was later caught by residents of the area. Jungle justice was however averted as the security operative came to the scene and the suspect was handed over to the Police. Hahahahaha what a pity for them, so they fear death?